When you are locked out of your home, the thought of lock bumping is probably going to cross your mind. If not, you need to know that it is a common technique used for those wanting to gain access to your home for all of the wrong reasons, to break in. Lock bumping requires a special, filed-down key and an object that can be used for blunt force. If you try it yourself when you are locked out, you risk leaving damage to your doors or locks. You’re better off calling a locksmith to get you back inside. The locksmith may actually use a bump key to open your lock, but will not typically leave damage behind. However, it is interesting to understand how lock bumping works, so you can have your locks evaluated and assess how safe and secure they really are. Also known as the “999 Method”, lock bumping has been around for decades. To bump a lock, a special key is placed inside the keyhole and then manipulated. Lock bumping requires the use of a bump key. 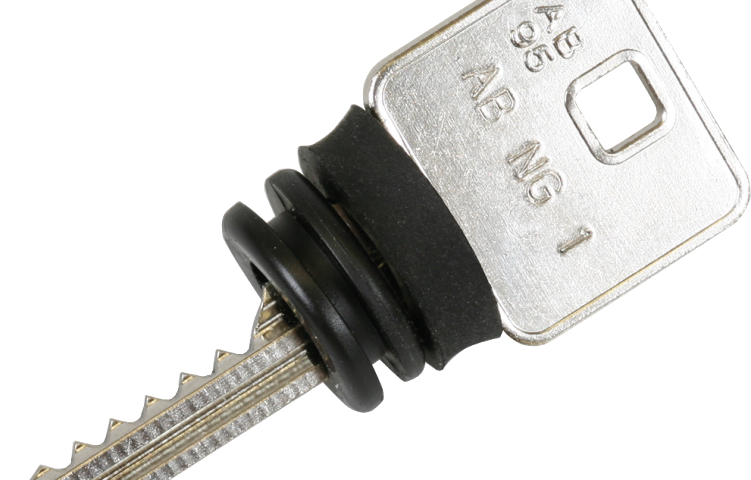 Bump keys can be purchased online or made by carefully filing down the right parts of the key. A bump key has a straighter edge on the prong side. They are used on spring-loaded pin stack locks. When the bump key is inserted into the keyhole, you use force to bump all the pin stacks into an open position so the lock is able to be turned. Lock bumping takes a lot of patience and skill to ensure all of the pins are lined up in the proper position before applying force. With a bump key you may need to use a bump hammer to get it done properly. The bump hammer is smaller than a regular hammer. It is used to gently bump the key until the lock is opened. Make your home unattractive for crooks by keeping the landscaping around the doors and windows clean and trimmed. If a crook has no place to hide, he or she will move onto the next home. Install security cameras. Successful lock bumping thieves are often so skilled in their work that they leave behind no evidence of break-in. If you have video surveillance footage of them breaking in, your insurance company will be more likely to pay the claim of damage since you have proof. Install anti-lock bumping devices on your locks. One of the quickest and most effective devices is one that has a bar that prevents the thumb lock to turn. You may also consider installing security pins or high security locks. Ultimately, keyless deadbolt locks are among the highest security against lock bumping since there is no key to physically insert for bumping.